Youngest son agreed to give me some further photography lessons and today we did more walking around the centre of London. The Embankment on the River Thames has a number of interesting features. 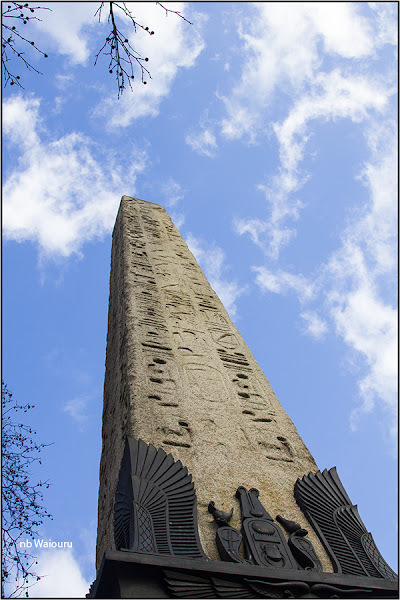 When my parent brought my brother and me to England back in the late 50’s I recall being shown Cleopatra’s Needle. 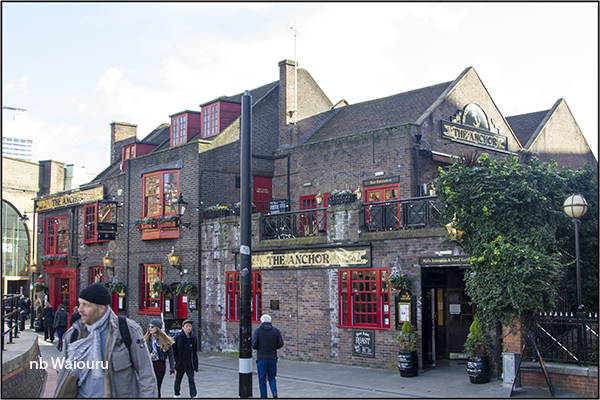 Son and I had agreed to meet at The Anchor Pub on the south bank not far from London Bridge Station. There has been a pub on this site for over 800 years. Whilst neither of us knew it at the time, this is the pub from which Samuel Pepys observed The Great Fire of London. Between the train station and The Anchor is The Clink. As a teenager in NZ I remember the expression “being sent to the clink”when someone was imprisoned. What I hadn’t realised is the expression is derived from an actual prison. 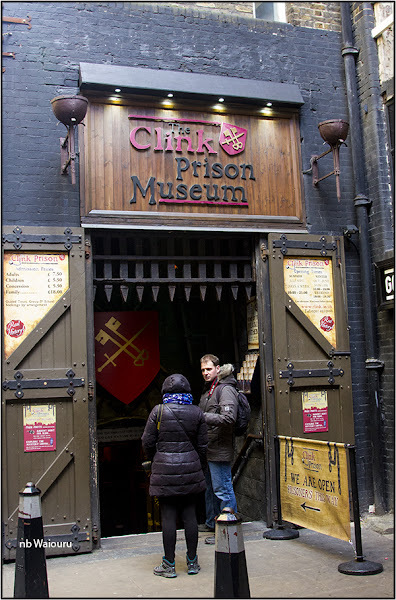 The Clink was built in the 12th Century by the Bishop of Winchester and located adjacent to his palace. It closed in 1780 and was probably the oldest prison in England. There is a mooring between The Clink and The Anchor. At the time of our visit a boater was overstaying. He was also unlicensed. Fortunately we were able to identify the master as one Francis Drake. Apparently he used to be a continuous cruiser but more recently he’s become a continuous moorer. 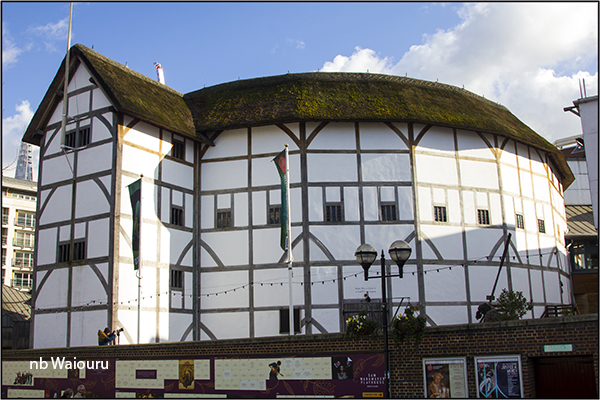 The Globe Theatre is a short distance in the opposite direction. In 1989 a small portion of the original Globe Theatre was discovered beneath a car park on Park Street. This led to the construction of a replica some 230 metres from the original site. 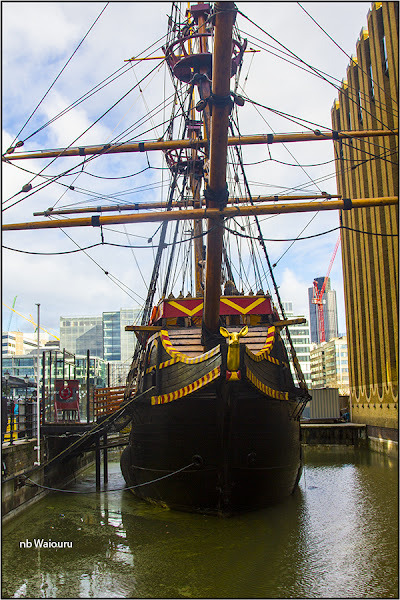 The River Thames would have been wider back in the 13th Century and the original globe was located on the bank. It was owned by actors who were also shareholders. I’ve been informed that if you want to watch a performance at The Globe you should take a cushion as all the seating is hard timber bench replicating the original conditions.